Today I’m fortunate to have Sarah Sawyers-Lovett guest post on my blog. I haven’t read her book yet, but I plan to soon. It’s an honor to welcome my guest today. Take it away Sarah. I grew up reading Judy Blume and Beverly Cleary. My first literary crushes were Ramona Quimby, Harriet Welsh, and Sheila Tubman. I didn’t understand that then, but I thought they were cool, smart girls who were weird and funny like me. I wanted to be friends with them. Later, I’d graduate to the Sweet Valley High books, and then right onto popular adult fiction. If there was queer content in the books I read before I was old enough to seek them out, the subtext was lost on me. When I was fourteen or fifteen, I started actively seeking out GLBTQ lit. I read a fair amount of Willa Cather, Alice Walker, and Rita Mae Brown. I was lucky enough to have a lesbian cousin who introduced me to the Firebrand catalog during its heyday. I devoured the work of Audre Lorde, Dorothy Allison, Leslie Feinberg, Allison Bechdel, and Minnie Bruce Pratt. I felt very wordly, sitting in my room reading books about race, gender, and class to the dulcet sounds of the Indigo Girls and disappear fear. I remember feeling a lot of envy and resentment toward my peers. They got to think about things like prom and kegstands while all the literature I had access to made me feel like I should be thinking about marriage equality and hate crimes. You can imagine what a joy I was to be around. This is not to say that no queer characters existed in YA lit when I was growing up. Annie On My Mind by Nancy Garden was published in 1982. Patience and Sarah was around. But finding queer books in my small town library meant outing myself to the librarians. And anyway, the books listed in the catalog weren’t always on the shelves. I imagine they were stolen by other queer folks who had similar anxieties. I love reading books by Ellen Wittinger and Alex Sanchez. I think David Leviathan and Malinda Lo are amazing and I feel so lucky to have access to their books. But let’s be honest: queer YA books are something you have to seek out. Straight authors don’t typically write queer or trans characters into their books. So if you ARE a young gay kid chances are that when you pick up a mainstream book you won’t find characters you relate to, even now. You have to go searching for them. Rick Riordan (author of the Percy Jackson series) is the only straight author I can think of who this doesn’t apply to. His most recent series (the Heroes of Olympus) is racially diverse and contains at least one main gay character. I think this is a big deal. Lots of people read Riordan’s work. He’ a good writer and he does a great job of making Greek and Roman mythology accessible to kids. It’s not a book about race or sexuality, but those subject crop up. I think this especially important because it means that queer kids get to see themselves represented alongside of their peers, and this normalizing representation over time might go a long way to making straight kids think twice about tossing around words like “fag” and “no homo.” Can you imagine how awesome you would have felt to find out that Neville Longbottom was a gay guy? (Though maybe we would ask for a different last name for that character.) Or if Katniss Everdeen had been a transgender woman? This blog has gone off on a bit of a tangent, but the point is that it’s important for queer writers to keep writing queer characters, of course. But yo, straight writers: We aren’t asking for the world. Just better representation. 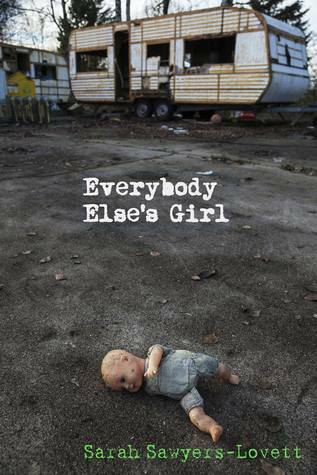 Set in Tazewell, Virginia, a town whose wholesome storefronts and country charm hide an undercurrent of poverty and lawlessness, Everybody Else’s Girl tells the story of growing up poor amid unspeakable violence. Broken-down trailer parks and gritty classrooms provide the background for this story of a girl searching for her voice. This book deals with heavy subject matter, such as addiction, sexual abuse, and violence. Please read with care. 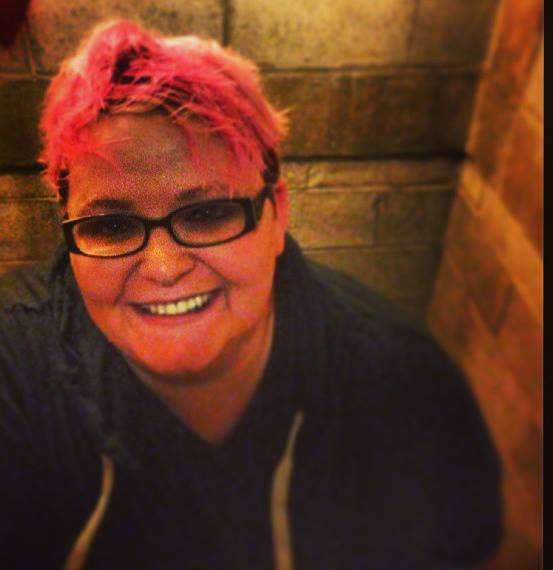 This entry was posted in Book Tours, Guest Posts and tagged Everybody Else's Girl, Memoirs, Queer Literature, Sarah Sawyers-Lovett, Sweet Candy Press. Bookmark the permalink. “But yo, straight writers: We aren’t asking for the world. Just better representation.” That made me laugh out loud!!! I would venture to say that Sarah has a wicked sense of humor and is very entertaining in person as well as in her writing. 🙂 Great post, TBM! I have to agree with you. I’m looking forward to reading her book. Thanks! I do aim to entertain. Sarah sounds like a pistol! Her book cover is very intriguing. And yes, since I grew up in the D.C. area, so I’m familiar with Tazewell. I hadn’t heard of it. And yes, pistol is a good word for her. Great guest post. I agree there needs to be more GLBTQ in YA books. More particularly, more positive and realistic characters. Absolutely. I’ve been seeing some changes in books and film, but more is needed. Agreed, in particular more trans characters and QPOC folks who aren’t relegated to the background or assigned tragic plot points so people don’t forget how oppressed we all are. Amirite? I should post my review in April. A charming gues and interesting guest post. The book sounds fascinating. It would never occur to me that every subject matter on earth isn’t easily accessible to everyone. I live and learn. Life is a wonderful learning experience. Hope you have a wonderful weekend! i definitely would like to see more gay characters in books that aren’t focused on being gay. We need gay characters to be a part of the storyworld. I think it would make people more aware and more open minded. I completely agree. Most people have gay people in their lives so it makes sense to include gay characters in literature. It doesn’t have to make a political statement at all. Just be realistic. Yes I agree. I just wrote that in a previous comment before reading yours. Most of us have gay people in our lives and including them in stories is making the stories more real. So glad to hear you’re working on your next novel. You know I can’t wait for it! Good to know. I have this on my April reading schedule and I’m looking forward to it, even though I know it will be emotional. Yes, the cover is great. Thanks so much for stopping by.